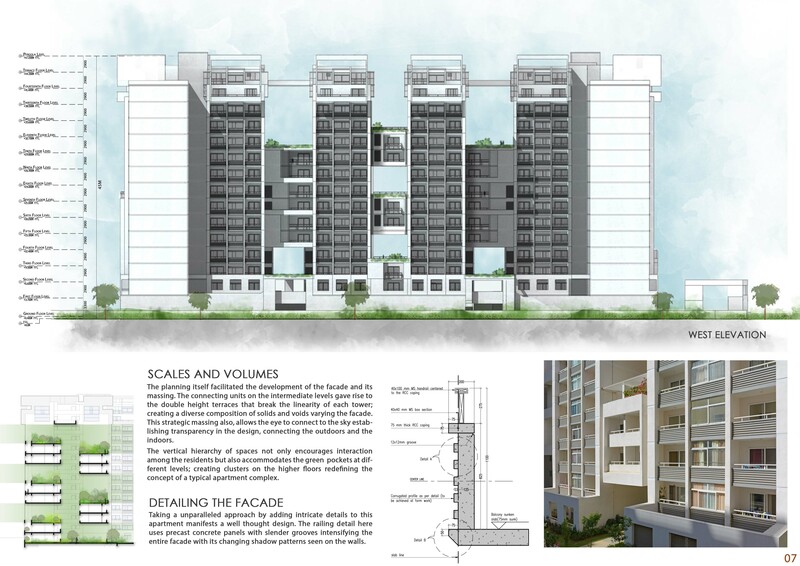 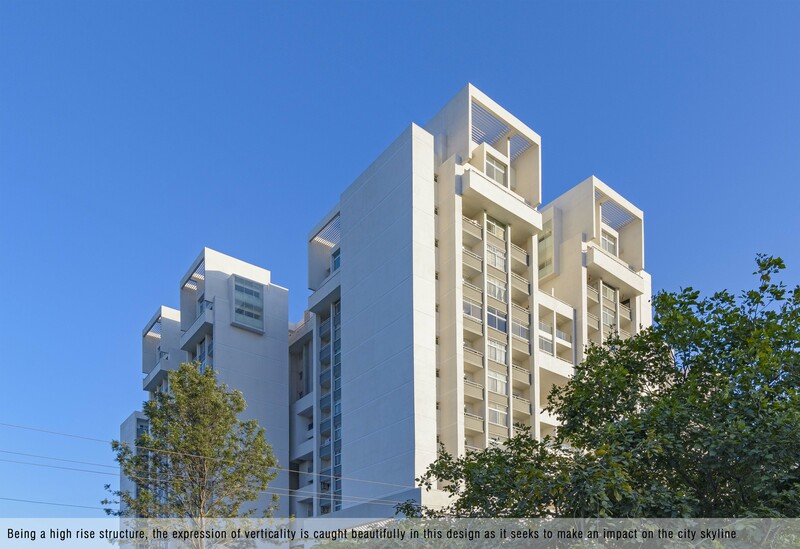 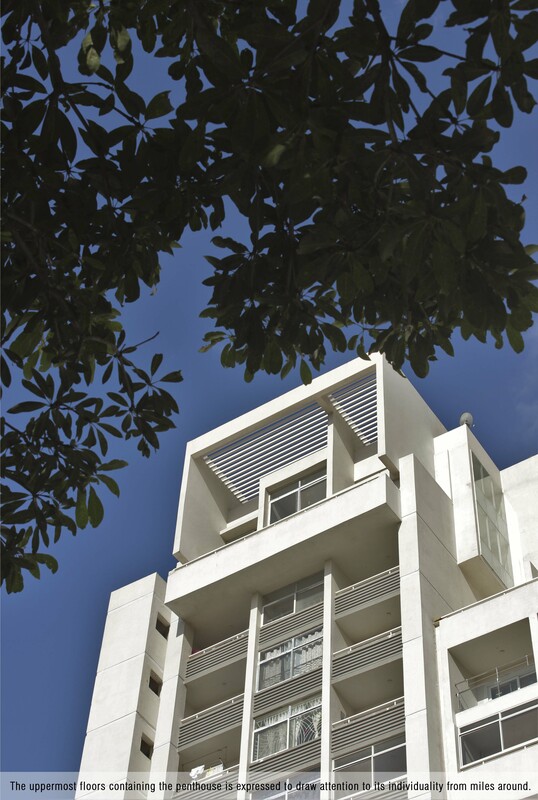 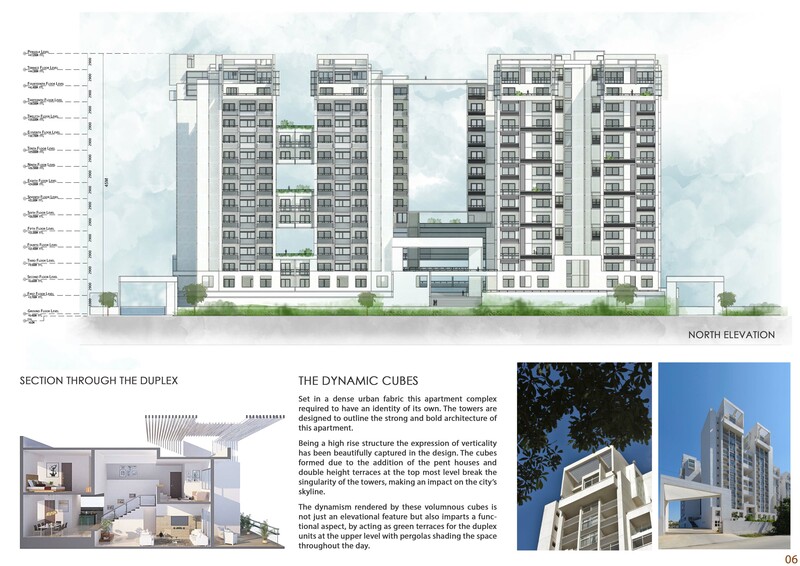 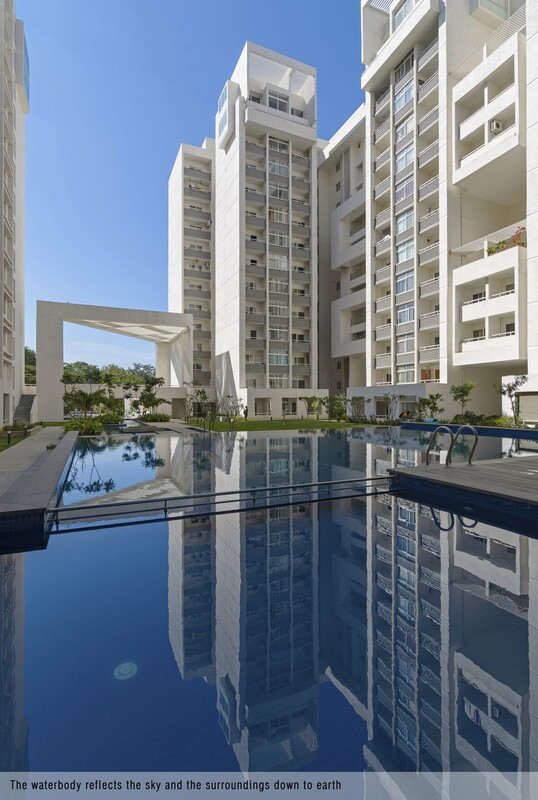 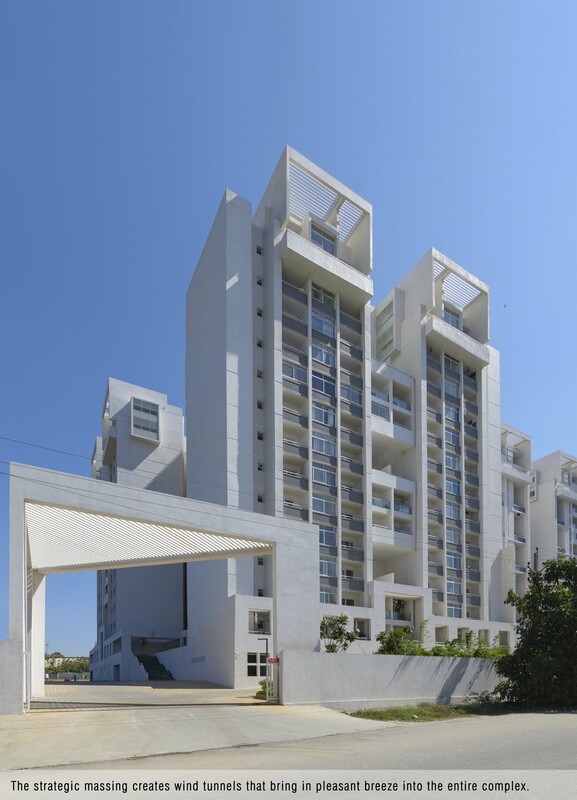 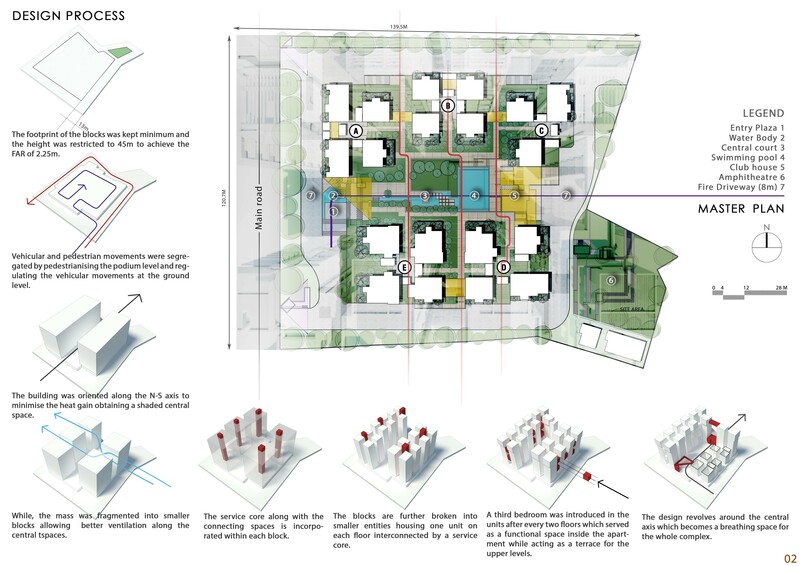 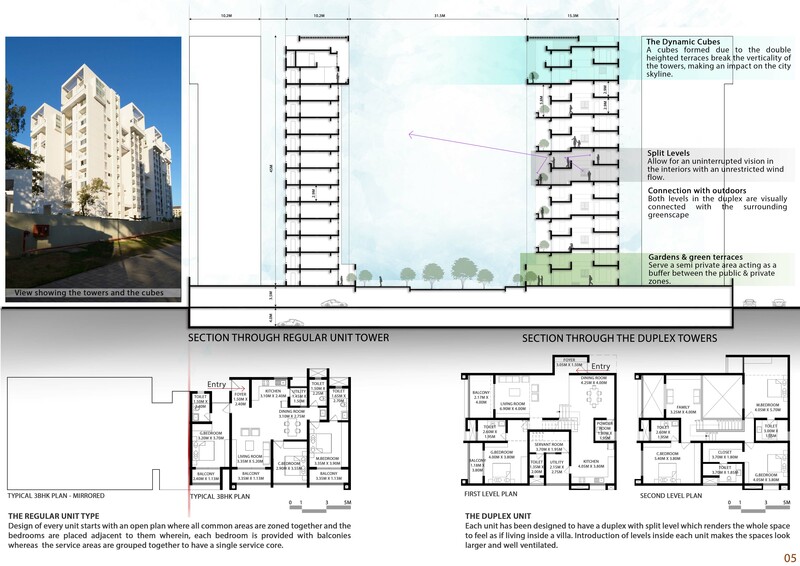 Rohan Avriti at Bengaluru by Collage Architecture Studio - ArchitectureLive! 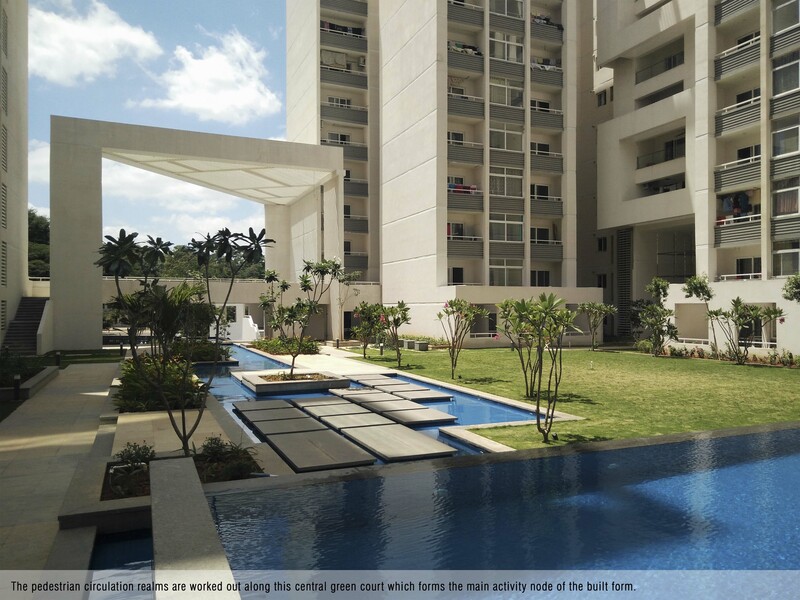 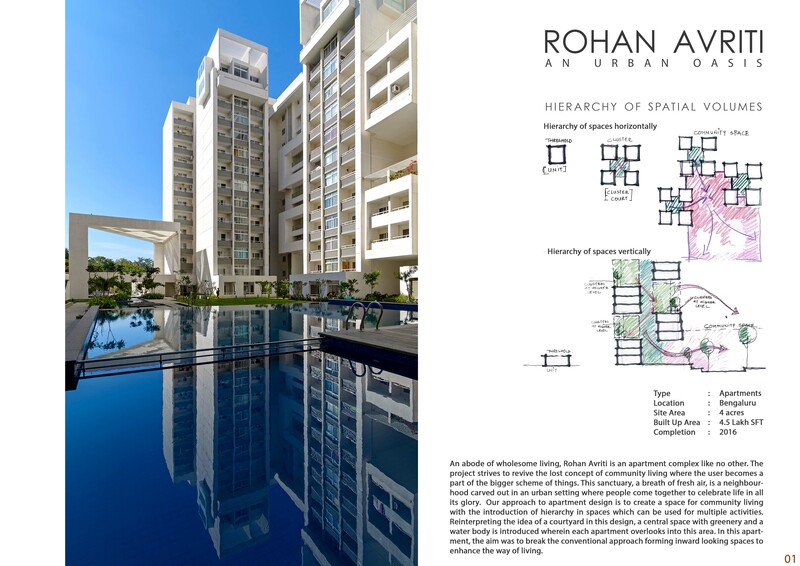 An abode of wholesome living, Rohan Avriti is an apartment complex like no other. 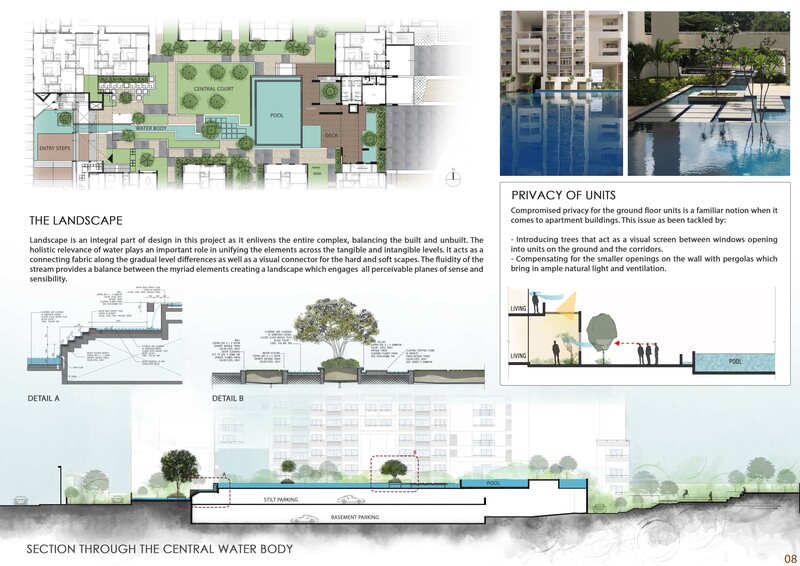 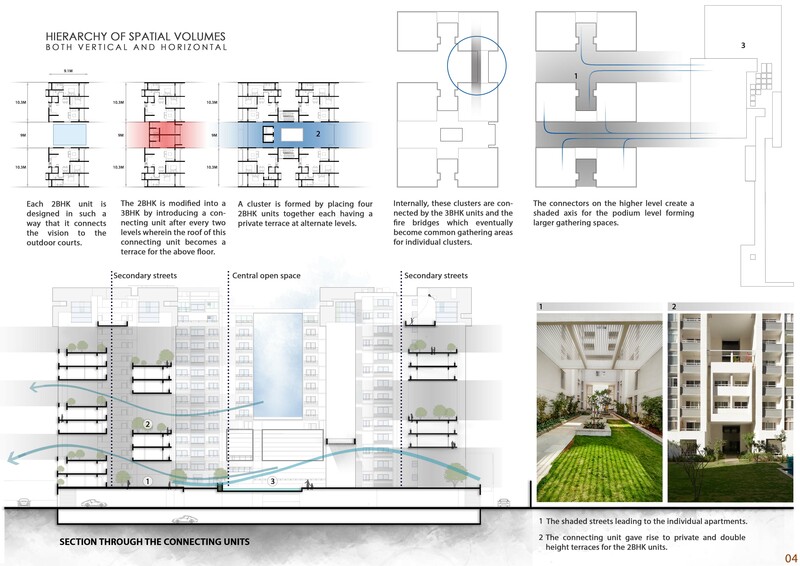 The project strives to revive the lost concept of community living where the user becomes a part of the bigger scheme of things. 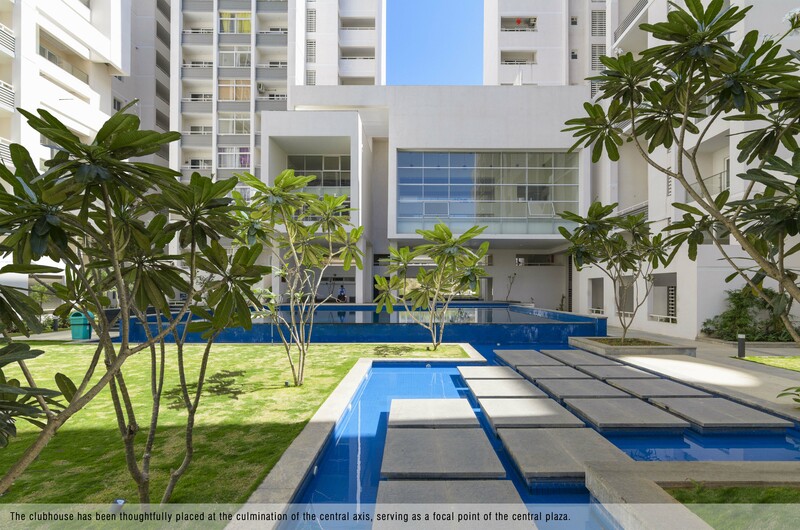 This sanctuary, a breath of fresh air, is a neighbourhood carved out in an urban setting where people come together to celebrate life in all its glory. 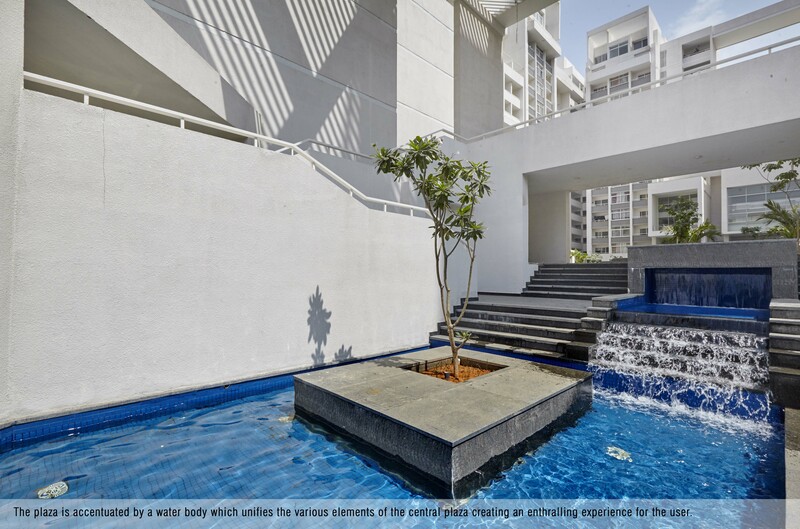 From the very first step into the site, as the user moves through the design, he is greeted with ever transforming elements that awaken the senses and create a unique setting of moods altogether. 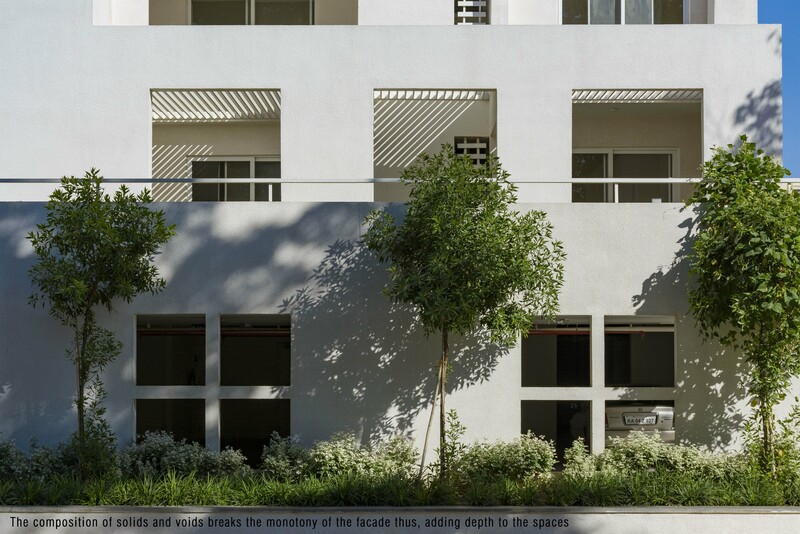 His journey is through the intriguing series of frames scaled down to human proportions, into the sudden explosion of openness of the plaza, over the canvas of vivid colours painted by nature, and finally into the grand opulence of the luxurious house itself with its sleek contemporary feel.